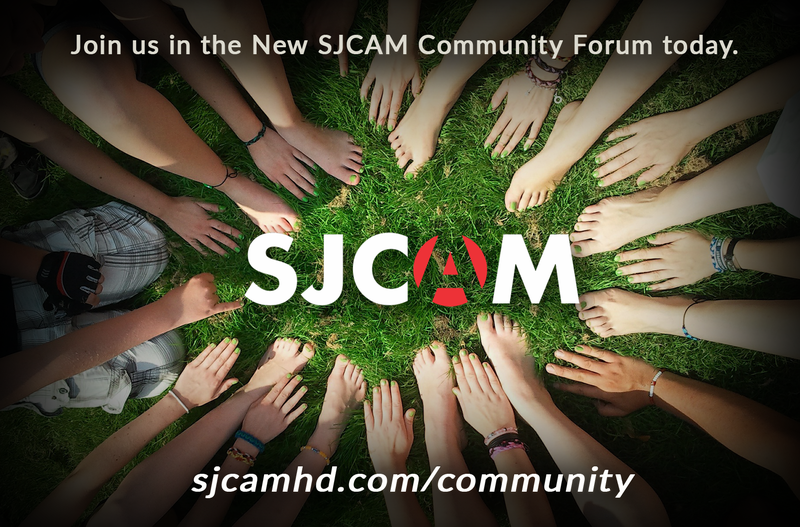 Welcome The New SJCAM Community Forums! Yes, made entirely new and with the users in mind. Now there’s a place for all SJCAM action camera fans to discuss their ideas, find solutions, write awesome stories, teach how-tos, share techniques, show off their videos and adventures, and most everything else in between. Of course, news, announcements, contests, the regular stuff, they’ll be on there too. We’ve been looking at our old forums and noticed that it is just mostly techsupport, and very little on the ideas-sharing side. After a year of discussing about it, we figured it was time for this to happen. Now the new forums is intended to have a balance between that and the fun and creative side of our equipment. If you have an exciting story to tell, a quick guide on how things are done, or say, have a printable camera-mount you don’t mind sharing to other users, feel free to post them in the community. There are a lot of topics and sections you can participate. There’s also a wishlist section just for those things you want to see developed or made (and who knows, we might just do it immediately!). The New SJCAM Community Forums. Explore and have fun. This is going to be twice as exciting and twice as awesome. So what’s your first exciting post about? Stop reading this and get in there, register now! You may send me your feedback and suggestions about the new community forums and how we can improve upon it. Best ones get discount coupons on our webstore.